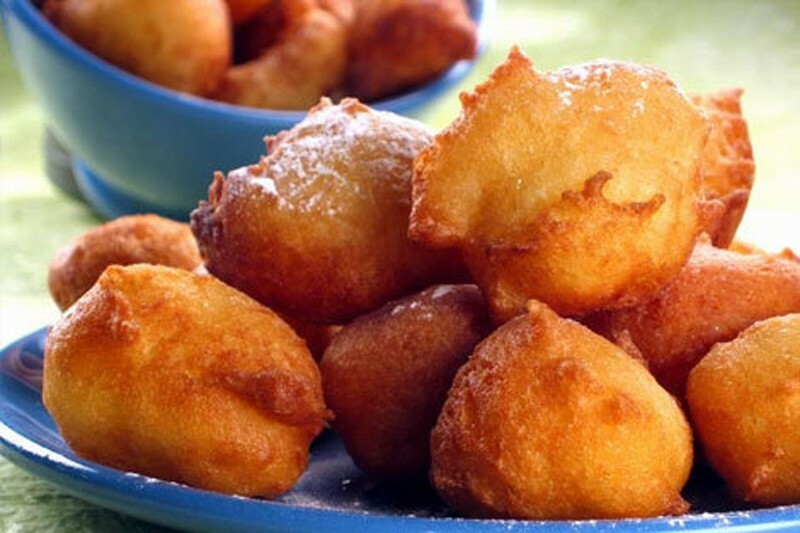 Prikle, in Split also called Fritule, is a festive Croatian pastry resembling little doughnuts. 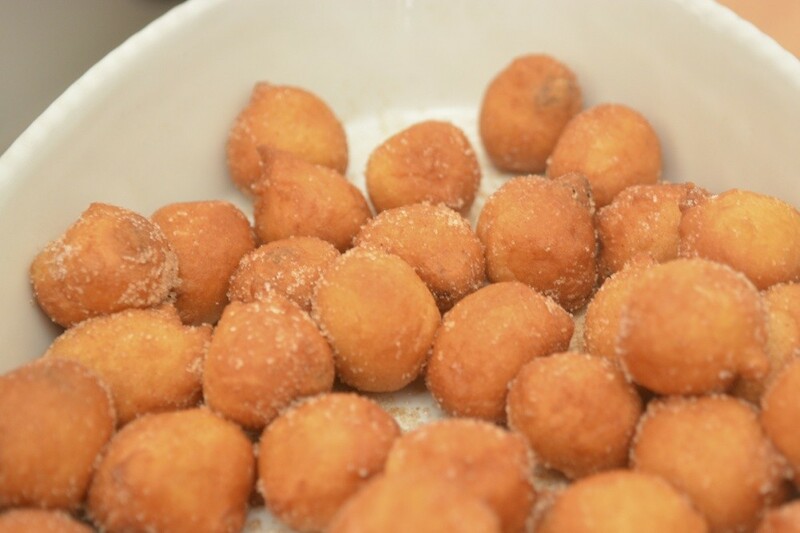 They are somewhat similar to Italian zeppole, but are usually flavored with brandy and citrus zest, containing raisins, and are topped with powdered sugar. Mix all ingredients into batter. Add grated apple in the end. Drop rounded half-full Tbsp of batter in hot oil and fry in a deep pot, 5 or 6 at a time, until golden, about 4-5 minutes. Do NOT overheat the oil. Fry on low temperature. The fritters will tumble by themselves while being fried.